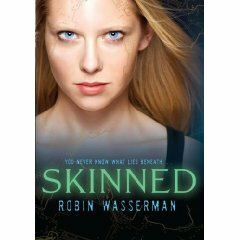 My friend Robin Wasserman is a writer of young adult books. I am often afflicted by deep affection for my friends and sing their praises liberally. However, I can say without hyperbole that my friend Robin is extraordinarily talented. Her latest book — her first foray in to science fiction — has been released and I’ve finished my copy. She doesn’t know I’m writing this. She’ll probably find it soon eough because she googles herself about once every hour. But even though it’s not math, I just had to blog about it. Hurray! I hope it’s a start to another series. It’s the first of a trilogy!